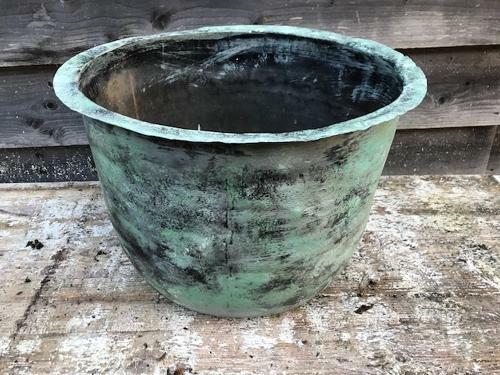 Attractive Victorian Copper 'Copper' planter or log bin (originally used to boil up water and clothes in outhouses}, now very trendy as log bins or garden planters. This one is in good sound condition with no holes. Original dovetailed construction to sides and base.